Adobe's move from Creative Suite to Creative Cloud offers a chance to overhaul its software in new and exciting ways, says VP Mala Sharma in an interview at Adobe's Creative Days event in London - but it could leave the company damaged if customers aren't won over. Sharma, who is VP of professional business in Adobe's digital media business unit, also gave a clear sense of direction about what the company has planned for future software releases - which includes many more brand-new applications. Her comments about Adobe's vulnerability came in response to being asked about user's fears that, while Creative Cloud is affordable now, the company could use its market-dominant position to push up prices substantially in the future - with users 'locked into' their core tools on the platform. "My only rational response to that is that we can't [push up prices]," says Sharma. "It's in our best interests to win our customers' trust - as every month they're going to be choosing whether they want to stay engaged with us or not. We have never been more vulnerable, in my opinion, than in [moving to a subscription model]. It's a really big bet. "We definitely do not want to be caught in the position of 'the other man blinked' with our customer base. The customer has more power over Adobe than they ever had before." As you'd expect, to achieve success Adobe wants creatives to be excited by the Creative Cloud rather than nervous - and from a creative and technological perspective (rather than a business one), Adobe is trying to use the Cloud to do some truly innovative things. The first is what we've seen in Creative Cloud's first year - a move to a more iterative model where updates appear more regularly than every .5 or .0 release of Creative Suite - but at an accelerated pace now that Adobe has the Creative Cloud platform in place. Expect updates to Adobe's current creative tools thicker and faster after the launch of the CC versions Photoshop, Illustrator, InDesign, After Effects, Premiere Pro, Speedgrade, Flash Pro, Dreamweaver and the Edge web design tools on June 17. Beyond this though, Sharma says that there will be more emphasis on brand-new, razor-focused applications - such as the Edge line - rather than adding more and more functionality (and, some would say, bloat) to mature products. This approach won't just be for web design tools either, but across its photography, graphics, print, video and animation tools too. Sharma describes this as "the futuristic model, where you have these small apps that are focused but they all work together and make sense together. That's definitely the direction. 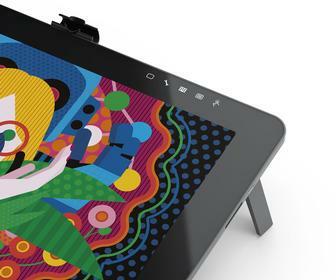 [These tools will also] not just being interconnected horizontally but connected with your touch applications and with Creative Cloud [for asset sharing and storage]." As an example of the kind of functionality Adobe wants to imbue its software/service combination with in the future, Sharma points to the recently released Kuler app for iPhone and iPad. This allows you to capture colour schemes from real-world environments, which are saved online and will be able to be accessed through a Kuler panel in Illustrator CC when it ships (and presumably, applications from After Effects to InDesign in the future). "Star-gazing" further, Sharma made reference to 'true cloud' versions of its software - where desktop or tablet apps would tap into Adobe's servers - or a customer's own - to offer media manipulation at a speed and level not possible on the host device. 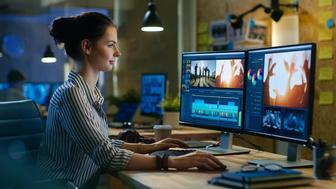 Different examples of this include a 'sneak peak' Adobe showed at its recent Max conference of tapping into a hosted version of Photoshop's image processing engine, and the Adobe Anywhere server solution of boosting the performance of its video tools, Premiere Pro and After Effects. Back in the present day though, even some users who've decided to subscribe to Creative Cloud haven't found the move to particularly easy - with reports of users having to waste working days deleting their current applications and reinstalling from the Creative Cloud app appearing online and across Adobe's forums. However, Sharma says that these incidents are isolated and that overall, users have been very satisfied. "We've heard a couple of hiccups," she claims, "but [Creative Cloud early adopters have] a higher satisfaction with the product than Photoshop has ever done - and Photoshop is the sweetheart of the design community." Another question that matters to a lot of users is what happens if they cancel their Creative Cloud subscriptions. Can they access their files that may still be on the Dropbox-style Creative Cloud Connection service - and can they open them with the CS6 apps they still own? "The community is telling us is that what we have in place today - where you can export from your CC apps to CS6 - is not an acceptable solution," admits Sharma. "There are other ideas and expectations that customers have that we are actively discussing internally - but more importantly with our advisors and customers (on the forums)." Whether Adobe can successfully communicate its message and bring the majority of its users over to Creative Cloud remains to be seen - though the company is stressing that CS6 is still available for purchase for any users who don't want to subscribe (or want the tools added in the past year).